The U.S. Department of Justice announced yesterday that defense contractor DRS Technical Services Inc. (“DRS”) has agreed to pay $13.7 million to settle allegations that it violated the False Claims Act by overbilling the government for work performed by employees who in fact lacked the requisite job qualifications outlined in its contracts with the U.S. Army and the U.S. Coast Guard. The Herndon, Virginia-based company designs, integrates, operates, and maintains satellite and wireless network solutions, telecommunication services, and security systems for both government and private sector customers. An indirect subsidiary of DRS, Gaithersburg, Maryland-based DRS C3 & Aviation Company provides services to government agencies, including: aircraft maintenance, logistics support, depot support, and engineering support. For ten years, DRS and its predecessors were awarded time and materials contracts for services and supplies to be provided to the Army’s Communication and Electronics Command (CECOM) in Iraq and Afghanistan, and to the Coast Guard for aircraft maintenance. 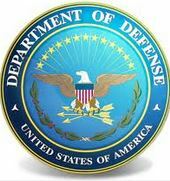 The government specifically alleged that between January 1, 2003, and December 31, 2012, DRS billed the U.S. Army Communication and Electronics Command (“CECOM”) for work performed by individuals whose job qualifications did not meet all the contract specifications for the labor categories under which their efforts were billed. The conduct allegedly occurred in connection with the Rapid Response contract—also known as the “R2” contract. The R2 contract was used by the Army to purchase a variety of goods and services needed to support its forces in Iraq, Afghanistan, and elsewhere on a quick turnaround basis. The settlement also resolves labor mischarging allegations on a similar contract with the U.S. Coast Guard. The government also alleged that between December 19, 2009 and December 18, 2011, DRS charged the Coast Guard’s Aviation Logistics Center for work performed by individuals whose job qualifications did not meet the specifications prescribed by the contract. In each instance, this resulted in a fraudulent inflation of the cost of the services actually provided by DRS. The U.S. Attorney’s Office in Maryland, the U.S. Department of Justice’s Civil Division, the Defense Contract Audit Agency, the Army’s Criminal Investigative Command’s MPFU, and the Department of Defense Inspector General’s Defense Criminal Investigative Service all coordinated and collaborated on the settlement efforts with DRS. This defense contractor settlement comes on the heels of the government’s $5.5 million settlement last month of allegations made under the False Claims Act by a relator involving five different defense contractors. In September, M.K. Battery Inc., East Penn Manufacturing Co. Inc., NPC Robotics Inc., BAE Systems Inc., and BAE Systems Tactical Vehicle Systems LP resolved claims made against it in connection with allegedly inferior batteries used in combat vehicles deployed to Iraq. East Penn manufactured batteries that were sold through its subsidiary, M.K. Battery, to NPC Robotics, and then installed in military Humvees by BAE. In that case, the Department of Defense (“DOD”) had wanted dual-purpose batteries. The batteries were required to have a strong starting capacity and a deep-cycling ability in order to power the gun turrets of military Humvees for use when soldiers awaited rescue. After receiving samples of the batteries from East Penn in 2005, the DOD approved them and agreed to purchase identical batteries—those that had been tested and manufactured in the same manner as provided in the sample. East Penn allegedly later made changes to the design and manufacturing of the batteries as well as changes to the testing performed on them that resulted in a negative impacted their deep-cycle performance capabilities. Despite this, the DOD was allegedly never informed about the changes by any of the companies, all of whom were reportedly aware of the batteries’ diminished performance capabilities. Whistleblower David McIntosh, employed by M.K. Battery, allegedly told his supervisor about his concerns and requested that the existence of the non-conforming batteries be brought to the attention of the DOD. According to McIntosh, when his supervisor refused to do so, he subsequently utilized the DOD contractor fraud hotline to disclose the issues with the batteries. McIntosh made the phone call in May 2007, leading to his alleged retaliatory termination the following month. While the companies’ settlement with the federal government yielded $990,000 to McIntosh for his role in the litigation, his employment retaliation claims remain outstanding. If successful, McIntosh would be entitled to all relief necessary to make him whole, including reinstatement with seniority, double back pay plus interest, and compensation for any special damages sustained as a result of discrimination. This relief also includes reasonable litigation costs and attorney fees.